From April 3rd to 6th 2018, the city of Dunedin, New Zealand, hosts the international conference of the Public Communication of Science and Technology (PCST) network. 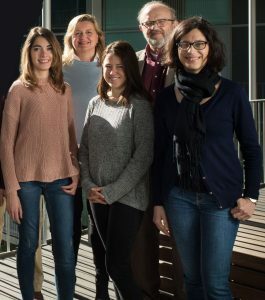 This year, Gema Revuelta (Director of the Science, Communication and Society Studies Centre, SCS-UPF), Carolina Llorente (SCS-UPF Coordinator) and Núria Saladié (SCS-UPF International Projects’ Coordinator) participate in this year’s event, revolving around the theme “Science, Stories and Society”. April 3rd, 3.30 – 4.45pm. Núria Saladié coordinates the workshop “Landing on reality though a future scenario: a case on responsible research”. In this workshop, some of the teaching materials created within the HEIRRI project will be presented in a practical, hands-on approach. This way, participants will be able to learn not only about Responsible Research and Innovation (RRI) but also about how it can be taught. April 5th, 3.30 – 4.45pm. Gema Revuelta chairs the roundtable “Training on RRI: experiences on responsibility”, with Steve Miller (University College London, representing the RRI Tools platform), Alexander Gerber, University Rhine-Waal, representing the NUCLEUS, CREATIONSand RRING projects), and Núria Saladié (Pompeu Fabra University, representing the HEIRRI project). Gema Revuelta will facilitate the debate to discuss from all points of view (audience and speakers) the topic of RRI and education. April 6th, 10.45 – 12pm. Carolina Llorente will present the session “Social participation in science: the perspective of third sector organizations”. She will show part of the results obtained from interviews with directors of 31 civil society organisation from Spain. Carolina is the main author of this study funded by the Spanish Foundation for Science and Technology (FECYT) and the Ministry for Economy, Industry and Competitiveness. The current President of the PCST network is Brian Trench, professor at Dublin City University. Trench will give a lecture on May 3rd at the Master’s degree on Science, Medical and Environmental Communication of Pompeu Fabra University – Barcelona School of Management. The master’s degree is directed by Gema Revuelta. From 2004-2006, the President of the PCST network was Vladimir de Semir, current president of the Advisory and Social Boards of the SCS.